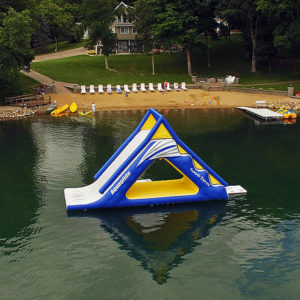 The Otter Supper Club and Lodge in Ottertail City, Minnesota is where you will want to be when you come off the Lake. 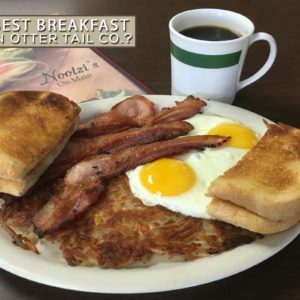 Whether you are looking for a great meal, a drink from the knotty pine log bar, beer, wine & liquor, live entertainment or a nice hotel in Ottertail to spend the night or the week; The Otter is the place to find it. Stop by to browse around and see all that we have to offer. There is probably much more to The Otter than you ever knew. We will be updating our specials for the restaurant, liquor store, and lodge. If you have a special request for our liquor store, we would be more than happy to place an order for you. The Otter is easy to get to and open year-round, 7 days a week. Located on the East end of Otter Tail Lake off of Minnesota Highway 78 between Otter Tail County Highway 1 and Minnesota Highway 108 East. Our hotel and restaurant are located near four local golf courses: Lakeside, Thumper, Balmoral, and Oakwood. We will see you at The Otter! 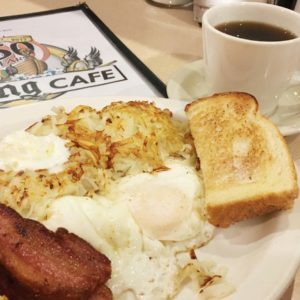 The Otter Supper Club and Lodge in Ottertail, MN is nothing short of a legend. Prior to its official inception in 1973 as The Otter Supper Club and Lodge, it was referred to as The Red Otter – referring to its red coloring that stood out on an otherwise deserted stretch of MN Highway 78. In 1973, when The Otter changed hands and went through a series of upgrades, it was rebranded as a supper club. 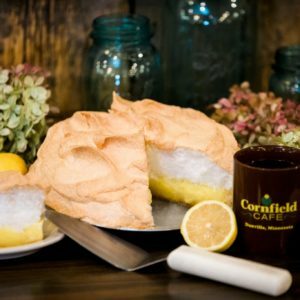 This term is most often used to describe a dining establishment generally found in the Upper Midwestern states of Wisconsin, Minnesota, and Michigan. These establishments typically are located on the edge of town in rural areas. Traditionally thought of as a “destination” where patrons would go to spend the whole evening, from cocktail hour to enjoying night club style entertainment after dinner, The Otter fit the bill perfectly with its casual and relaxed atmosphere. Throughout its 40+ year history, surviving 2 fires, several blizzards, tornados, severe thunderstorms, and flooding, The Otter has played host to millions of visitors from around the world – many who have returned year after year to enjoy the fantastic menu, familiar atmosphere, comfortable lodging, and live entertainment of a caliber rivaling large city bars. In 2011, Dan Hurder of Fargo, ND travelled out to The Otter on a whim to check out the annual “Jamaican Me Crazy” party held every March. Dan had heard that The Otter was for sale, but had no idea what he was going to find when he arrived. Amidst 2+ feet of snow and subzero temperatures, The Otter was nothing short of an oasis on this otherwise frozen tundra. Inside was the beach party of all beach parties – jam packed with the loyal followers who dared to brave the elements and forego hibernation for this annual bash. He knew then that he had stumbled onto something unique. Four short months later on Friday, July 15 2011, Dan completed the purchase of The Otter and got his first taste of what Ottertail, MN was truly all about. A jam packed dining room and bar full of lake goers indicated that The Otter was, indeed, that special place he had hoped. This was certainly a different atmosphere than the sleepy little town he had visited in March of that same year – within walking distance of Ottertail Lake, and minutes from 20+ lakeside resorts, The Otter, as well as the entire community – was bustling with the sights and sounds of a world class summer destination! In the months and years to come, you can expect to witness a transformation within The Otter. As both owner and operator of The Otter, Dan has grand plans to upgrade the entire facility so ensure its continued success as one of the area’s premier vacation destinations. With a scheduled facelift to the dining room, bar, and guest rooms, as well as a continued focus on quality food and service, The Otter will always be the place you want to be when you come off the lake. So whether it has been a few days or a few years since you last visited The Otter, make it a point to stop in, say hello, and remind yourself why The Otter holds a place in the hearts of so many.